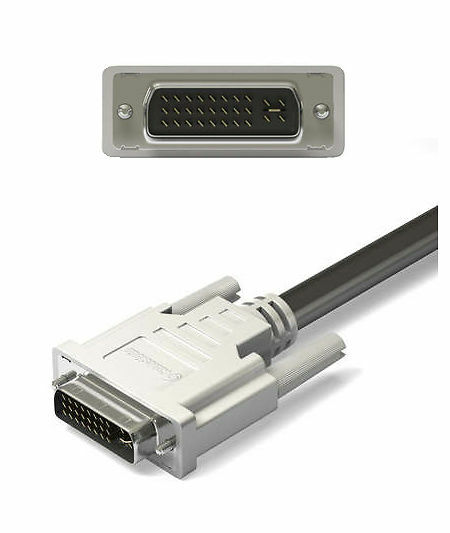 Over the years there have been many standards for the cables and ports that connect computers and monitors. 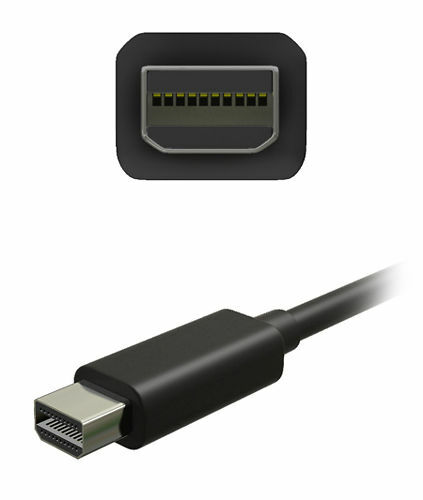 Below is an explanation of the most common connectors for both analogue and digital and a basic outline of which connections to use with your computer. If you want to determine what monitor outputs your computer has the best approach is to refer to the manual/specifications of your machine. All our monitor pages have a specifications page listing the available monitor inputs. If you need help with this, the best thing to do is take some quick but clear photographs of both your computer's outputs (all of them) and the monitors inputs (all of them! ), and we can then tell you your best connection options. Also, supplying full model numbers for both your monitor and computer can be very helpful for us! (We list the connections here in order of best to use to least desirable). Because of the complexities of 4K/5K monitors, we have a separate article about that below. Around late 2017 USB-C equipped machines started to become common - usually, as in the case of Macs, as the only port option. 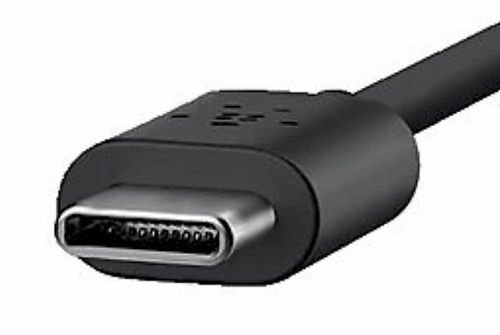 If your monitor has a direct USB-C input, then connection is easy - but make sure you use a display compatible USB-C cable (some usb-c cables seem to be data only). Check the listing to make sure it explicitly mentions display compatibility up to the resolution and speed you need (normally 3840 by 2160 @ 60Hz). If your display does not have a direct USB-C input, this means you must use an appropriate USB-C to video adaptor for your needs. You should check the specs of your machine to see what forms of video output it offers from this port - for example, Mac specifications typically say something like: 'Thunderbolt 3 (USB-C) with support for DisplayPort. The best option is usually a USB-C to Mini/Display Port converter or direct cable, although depending on your monitor you might need a USB-C to HDMI (and again, only if your USB-C supports this). DO NOT BUY A USB-C TO THUNDERBOLT cable/adapter (as the Apple 'Geniusses' will probably advise you to!) - these adapters/cables are NOT display capable & will NOT work. DisplayPort is the most common connection to use with newer Macs and also newer PC video cards. Note: SOME Thunderbolt Ports also accept Mini DisplayPort connections (basically all those on Macs to about 2017 before USB-C was added). Full size Display Port is most common. It's the best physical connector - can only be put in one way thanks to the notch in the corner, has no bare and thus breakable pins, and a simple squeeze locking system (i.e. no screws) - which means it's easy to plug in, and robust. Any version of DisplayPort can support 10 bit transmission - and resolutions up to 2560 by 1600 @ 60 Hz with no issues. Later DisplayPort versions support things like [email protected] Hz. Full details on what versions support what on Wikipedia. You use a mini display port to display port cable, plugging the mini DP end into a Thunderbolt port (if your Thunderbolt port supports this, as most Macs prior to those with USB-C ports do) - or an actual Mini DisplayPort port. Any Mac from at least the last five years will be fine with monitors up to 30 inches / 2560 by 1600 resolution. If you want proper 4K support at 60Hz, do check the spec of your machine as 4K @ 30 Hz is very juddery. One other thing to note is that the ports on the cylinder Mac Pro are not very well designed and it is unfortunately possible to insert the Mini DP end in upside down so please check your cable orientation carefully. Mini DisplayPort can also be found on other smaller gadgets like Mac Laptops, Netbooks, iPods etc., aswell as Mac and PC Desktop video cards. This is a digital only connection that can carry both audio and video. Big Media have added annoying copy protection mechanisms, DPCP, that allows copy protected content to be sent over the DisplayPort cable. 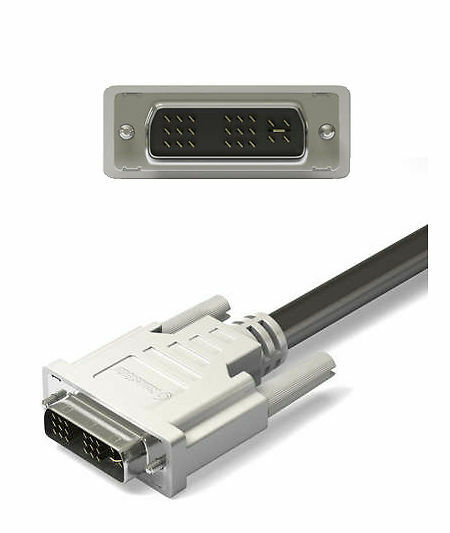 Macs can be very temperamental with video cables and they must be fully VESA 1.1a compliant for them to connect properly (read more about this here). 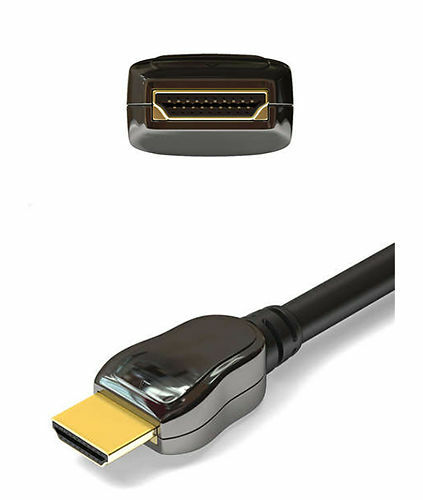 HDMI is a combined video and audio connector that is popular in the TV world. You will find it on some monitors made for video work which directly accept connections from, for instance, Blu-Ray players. It's also popular on laptops and other media oriented machines like the Mac Mini. With HDMI, the version is important. Many older HDMI ports are limited to 1920 by 1200 as the maximum resolution and thus these can not output correctly to 27 and 30 inch monitors. You should check this if you're planning on connecting a bigger monitor to your laptop. It's usually listed on the specs page for your laptop under maximum resolution for external displays. HDCP is an accompanying standard that allows copy protected content to be sent over the HDMI cable. It causes no end of problems and is simply an annoying protectionist mechanism developed by large media companies. Still, if you need it you need it, such is life. One other important thing to note about using an HDMI cable is that your video card may automatically engage a mode appropriate for TV display called 'limited colour range, 16-235' or similar. You MUST disable this mode if using a proper computer monitor, i.e. use Full Range (0 to 255). 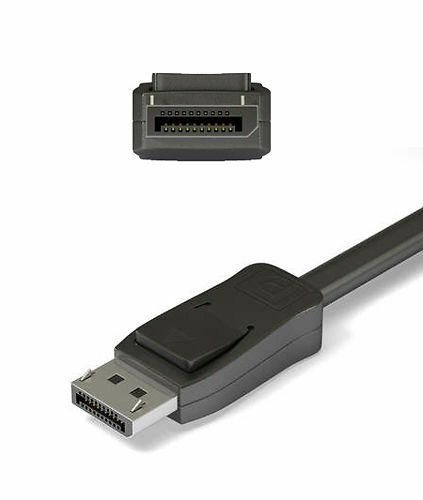 The most popular modern digital connection is DVI, and almost any modern PC (say built within the last 5 years) will easily handle a 24" or smaller monitor, using a DVI output. Almost all monitors come with a DVI cable now. If you're buying a 27" monitor or bigger - you will need to check your video output can handle the high resolution of these monitors. This will be listed in the specs for your machine/video card. These monitors usually connect with a Dual Link DVI cable or via DisplayPort. Almost any modern PC video card from the last 4 years will also drive up to a 30" monitor at 2560 by 1600. It's generally only laptops and all-in-one machines that can have limitations still, although most models now do support larger external monitors. DVI comes in a few different forms, so check your specs in your manual for the supported resolutions of the external video output. Analogue only version of this connector. Not very common at all. Can accept an analogue signal or a digital signal, so you can plug a cable with a VGA end into your laptop and a DVI-I end into your monitor. These exist for backwards compatibility. Supports ONLY a digital connection (up to a maximum practical resolution of 1920 by 1200), so your video card must output a digital signal for this to work. You would use a DVI-D to DVI-D cable. Needed for monitors with a resolution above 1920 by 1200. Despite the name, only one cable is still used, it just has a different number of pins, but it looks much the same. For this to work, the video card must have a dual link output, support the appropriate high resolution for the monitor, and the monitor must have a dual link port. Of course it will have one if it supports that high a resolution otherwise it would be pretty pointless! Both Analogue and Digital versions of this exist. 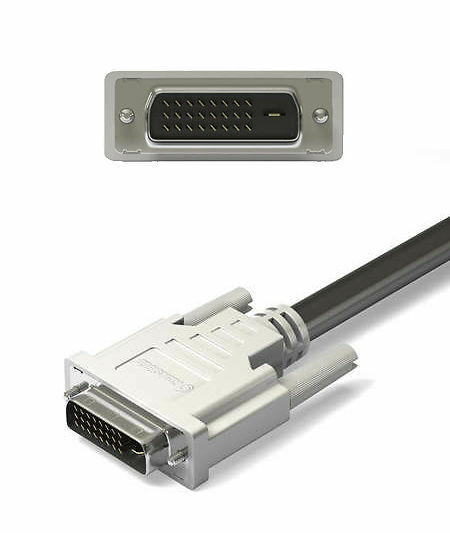 DVI connectors are typically, but not always, white, and are a little bigger than VGA connectors. Almost all modern video cards have at least one digital DVI output and many modern laptops do now too, If you only have VGA in your computer it is worth considering upgrading the video card to get at least a DVI digital connection for the best quality of display. 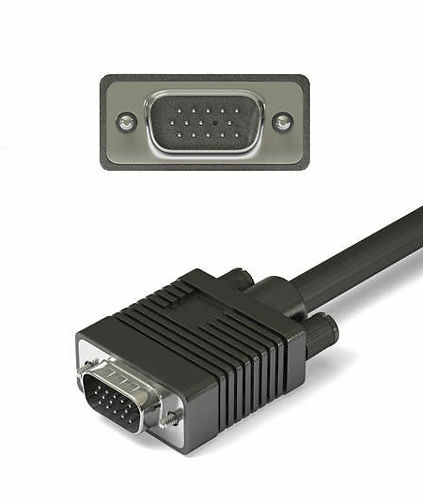 For a long time, the situation was simple - the computer sent out an analogue signal, and the connection of choice for pretty much everyone was a VGA or D-SUB 15 pin connection. Almost all older computers/video cards have one of these. Usually these connectors are blue, but not always. This type of analogue connection is still popular on laptops, netbooks and the like, so it's still relevant. It can offer decent quality if the video card in question is good, but it's now out of date and modern monitors are at their best when connected digitally. Image Science have been very easy to deal with, more than happy to help someone who previously knew nothing about how any of this worked! 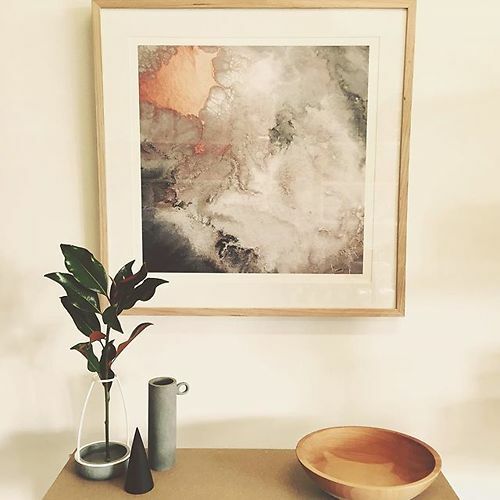 I knew what I wanted to achieve but no idea how to make it happen but had literally a million questions that were answered for me and was guided through how to make my plan a reality. I’m very happy with the result!